Tata Steel's bar business in Rotherham has been "underperforming in the face of commodity-grade steel being imported to the UK due to the strong pound and high electricity costs which are more than double those of key European competitors." The Indian-owned steelmaker, has today announced plans to restructure its speciality and bar business and identified 720 positions which will potentially become redundant, mainly at its Rotherham site. In the 2014 budget it was announced that compensation for energy intensive industries for the cost of the Carbon Price Floor (CPF) (a carbon tax) and EU emissions trading system would be extended to 2019-20. It is also set to introduce a new compensation scheme, to help energy intensive industries with higher electricity costs resulting from the renewables obligation and small-scale feed in tariffs for renewable generation, from 2016-17. The government said at the time that the package to cut the cost of manufacturing, with particular support for our energy intensive industries, was worth £7 billion. Tata says that measures to reduce the impact of its high energy taxes still haven't been introduced. The steelmaker has also been increasingly concerned about the impact of rising imports, particularly from China, on EU steelmakers. Mark Broxholme, managing director of Tata Steel's speciality and bar business, said: "We have to recognise that economic circumstances continue to undermine the work Tata Steel has done to build a sustainable business here. "We started the journey of refocusing our speciality business in 2009 on making and supplying high quality safety-critical steel to the world's most demanding applications. That work has led to significant investments in our capability to make high-value steels for the aerospace and other demanding markets. Today, we are the world's third largest supplier of aerospace steels and we want to build on this. "Today's announcement about reshaping the bar business is the next stage in that journey and would give it the best chance to succeed in these fiercely-competitive markets. "The consultation process begins today with our employees and their trade union representatives. Of course, we will seek to minimise the impact of this restructuring on our employees." Tata Steel Europe has found success as part of a new strategy to target demanding industries, like automotive, aerospace, mechanical engineering and construction. An objective of supporting customer success in their own markets through product and service improvement is being pursued. A £6.5m investment in South Yorkshire in 2012 production boosted output of aerospace steels by 30% and further £2.75m investment was made in the bar business. Recent investments by Tata Steel in its speciality steels business include five new remelting furnaces capable of producing the advanced materials demanded by customers. Mr Broxholme added: "We want to continue the investment in this business to improve the range of high-value products and services for our target markets." With a focus on a high-quality portfolio programme, 35 new products were added in the 2014-15 financial year, taking the total to 113 now in the European portfolio. Sales of new products increased by 16% and more than a third of company's overall sales are now differentiated steels. Reporting its financial results for the 2014-15 financial year ending March 31 2015, the group reported a £8.11 billion annual turnover for its European operations, 8.2% down on the previous year. However, the operation's profitability (EBIT / earnings before taxes) was reported at £109.8m, a turnaround from the £16m loss in the previous year. 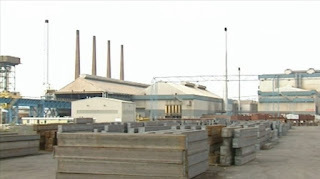 Commenting on the restructure, Karl Koehler, chief executive of Tata Steel's European operations, said: "I realise how distressing this news will be for all those affected, but I am also extremely aware of our responsibility towards the ongoing survival of this business which will continue to employ about 1,500 people in South Yorkshire."